I just booked my flight to Las Vegas for VMware’s Partner Exchange. 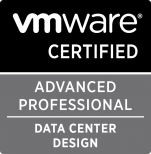 I will be attending the partner “Post-Sales Accreditation Bootcamp” on the weekend and staying for a couple of VMware View 4 design session on Tuesday. I have a cousin who lives in Las Vegas and Friday is his birthday. If I can locate him I will look him up! Thanks to my boss for picking up the tab! I will make sure he and the rest of our company gets a great return on the investment! This weekend was my third rehearsal weekend with the San Francisco Renegades. The Renegades are an “all age” Drum and BUGLE corps. Once upon a time, I marched in “Junior Corps” Valley Fever from Modesto and later the Santa Clara Vanguard. I enjoyed myself tremendously, learned from some incredible instructors about marching, music, brass playing, being a member of a larger group, respect for others (both within the corps I marched in and our competition) and most importantly I gained confidence in myself (and others) and learned to be a much better person. I have always credited my drum corps experiences for much of the success I have enjoyed personally and professionally. Since I “aged out” of junior corps, I have enjoyed being a fan and have had some incredible opportunities through alumni groups to perform with some of the people I respect and admire most in drum corps. In 2007, I was part of the combined Santa Clara Vanguard and Concord Blue Devils alumni corps. I had laid off my horn for about 10 years by that time. After spending months getting back into playing and performing, I made a decision to keep playing. My son was starting to pick up the trumpet and I remembered that my dad was supposed to have have been a very good trumpet player, but I never got him to play more than a couple of notes for me. I was determined that I would play with my son if he wanted and have since participated in a couple of local trumpet clinics with my son and had a blast! I returned to play with the MJC Community Concert Band, where I was greeted by a 20 yr old flute player with “I don’t know you!” Long story short, I am a drum and BUGLE corps nut and while I am occasionally embarrased when I make rookie mistakes 23 years after aging out, I wouldn’t trade the aches, pains, adrenaline rushes and goosebumps for many things. I am not in top physical shape, but I am working on it. I do feel like I am being a bit selfish with my time, but I know my kids (and I even suspect my wife) love it when I perform. Whoever you are, if you have marched in a drum corps in the past, or even just wanted to, come try out the San Francisco Renegades. Especially you folks who marched with me in the 80’s, come on down to the camp at Del Mar High School, February 20-21 and the Chinese New Year Parade. Follow the Renegades on Twitter and look us up on Facebook! If you don’t march with us this year, then please support us at shows. I will post information on upcoming events as they approach!